Long before Stan Musial died in January in Saint Louis, my hometown, at the age of 92, he belonged to the collective memory of that city, which had long been waiting, if with no eagerness whatsoever, to mourn and to celebrate him. Studs Terkel, a Chicago icon, was 96 when he died in 2008, and although his last book was actually released posthumously—and although Studs did not allow himself to outlive his friends because he was constantly making new ones—his place was in the cultural history of Chicago rather than its current moment. Mike Royko was only 64 when he died in 1997, his column still a fixture on page three of the Tribune. But the writing that defined Royko and inspired his eulogists had been done mostly in the 60s and 70s, when Royko wrote for the long-vanished Daily News and Richard J. Daley was mayor of a very different Chicago. The death of Roger Ebert is different. 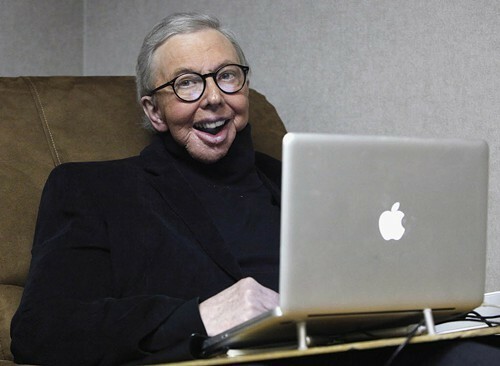 Personal tributes have flooded the papers and Internet since Ebert died last Thursday. But memory—memory, that is, in the form of nostalgia—has very little to do with anyone's grief. Ebert was 70 when he died, six years older than Royko had been, but the public has no reason to identify him with any period but the present. As Eric Zorn wisely observed in the Sunday Tribune, Ebert, "in his late 60s, battling a pernicious cancer . . . became more prolific than ever." And not simply prolific. "More provocative and more insightful," wrote Zorn—in Ebert's film reviews, in a memoir, and in that most contemporary and difficult of literary forms, the blog. What I take from the tributes I've read is that we don't mourn Ebert exactly. We miss him. We miss him because he was a reliable and important part of our ongoing conversation with life, and now, suddenly, he's gone. We miss him because he was a good man, and now he's gone. The friends who fill Holy Name Cathedral Monday morning for his funeral won't be there to collectively remember the time . . . Ebert's time was always this one. He didn't grow old with his contemporaries. He kept us young. A veteran Siskel & Ebert producer remembers the real Roger.